Availability: This product is discontinued and no longer available for purchase. For alternatives browse our Supplements department. The Golds Gym Meal Replacement is an advanced meal replacement suitable for anyone that's after quality nutrition to build and maintain serious muscle and strength without compromising on healthy eating. Each serving delivers 46g of whey protein and 42g of complex carbohydrates. Perfect for people on the go who need a quick, easy to mix, great tasting, high quality, low fat meal during the day, straight after training, or at night. Simply mix three scoop (100g) of Gold's Gym Sports Recovery with up to 350ml of water or milk and drink immediately after training, between meals, or at night in addition to your normal meals. Allergy advice - contains a source of soya, eggs and milk. All products are HFL tested, and suitable for vegetarians and people with nut/seed allergies. 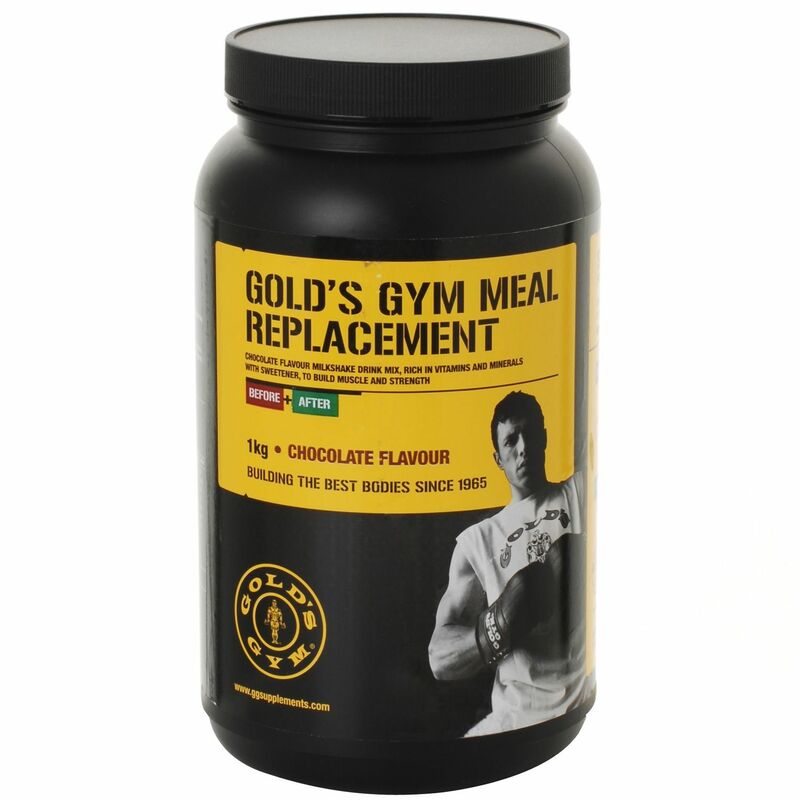 for submitting product review about Golds Gym Meal Replacement.